Rajat, 24 Aug 2011Heard that, MICROMAX Q80 can record videos at 720p HD and that too with 30fps frame rate. Can ... moreis q80 shoots in HD, i think not. Heard that, MICROMAX Q80 can record videos at 720p HD and that too with 30fps frame rate. Can somebody upload a test video captured in HD (720x480) on youtube and post us the link here. Video recording:when stopped stuck and you should restart your phone. I recently bought q80. I am able to connect to wifi through the phone and access internet from the wap browser through wifi but not from the opera browser.. i have set the java network settings to use wifi.. but i dont knw wats the problem.. can sm1 please help me.!! Is there any option of wifi tethering or wifi hotspot? 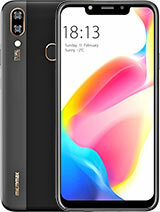 Is there any option of wi-fi tethering or wi-fi hotspot in this phone? the internet speed when used as modem.., using 3G network.., it gives around 300kbps.. as we know all the network provider don't provide a neutral 3G service at all locations.. but this is the minimum speed experienced.. moreover its not a device which support excellent modem, but can use at times. The BSNL network problem is quite unknown as i dint face it. but the best way is to check with the service provider and the manufacturer of the device. i have used docomo, airtel, aircel and vodafone uninor, and dint face auto reboot issues. wil update if came across..
Anuj, 19 Aug 2011Hi Guys, It appears that most of us are not going through the reviews given.. cos i find mo... morethanks Anuj for your feeback. i also contacted Micromax and enquired about the internet speed with pc. they maintain that it depends upon the network and 3g service providers.Many operators claim to offer 3g service but acutally they do not. Anuj, have you used its WI-FI connectivity ? maximum speed on 2G network is 234kbps and on edge enabled phone it is usually 115kbps. I have already explained how to configure youtube. 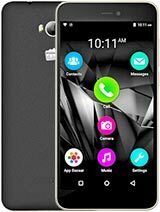 hi frnds i have purchased phone micromax Q80 and it's good phone too..
>>But i have face one probe that really notebale problem is that when i use bsnl sim and try send msg and call it reboot.. it can receive msg and call on bsnl but only during sending and calling it reboot..
it have only probe with bsnl it work good on other network..
>>so friends who have already purchased Micromax q80 pls help me by checking that they also face prob like that or only i face it.. 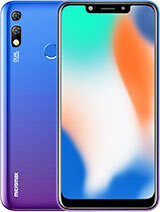 It appears that most of us are not going through the reviews given.. cos i find most of the questions repeated.... well i would like to make few things large..
1. it has got a vga or 1mp front camera for video calling as well as taking pics or shooting. 2. it has got a 3.1mp main camera that is capable of giving good daylight pics. and mp4 recording. 3.it supports java files of Jar format. 4. you can watch U tube videos. 5. it gives 3G speed of 7.2mbps asper company but u can experience atleast 3.6mbps. in good 3g network. 6. it has got a good Yamaha loud speaker. 7. the battery backup is 1.5 days talk time is around 4hrs. 8. it has got bass enhancer for music lovers. good headphone. nice sound quality. 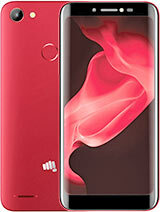 9.Overall a good 3G phone to buy for the amount of 4999.00...no other phone gives this. 10. the SRS or radiation output for this device is less than 2.0 its around 1.7.. which is under the normal norms. .. in case got more questions.. please put it. 1.Is ezmail, the push mail service chargable? 2.Can ezmail be integrated with gmail? Hey,BIN what those feature & how many spekers it has for stereo sound ? 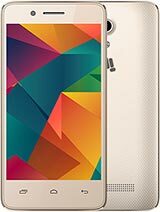 I have purchased this a Q80 mobile some 7 – 10days back. The positives of this handset is getting blackberry kind service ..... on your existing plan and on a low cost handset. The sound both music/ ringtones and the voice call sound is good. The reception seems to be ok.......i have not tested in remote rural locations with very weak signal. Blacklisting option is great!! The display screen is good and bright. The net surfing on 3G is quite good(available on only SIM-1). The negatives are its user-unfriendliness !! Configuration of internet 3G, 2G and Wi-fi is not easy and intutive, will have to read a lot of documents. I still have not been able to configure the youtube / streaming media as yet. Transferring my 700+ phonebook entries from nokia what quite a nightmare.......using the basic level pc-suit provided my micromax. The biggest problem i am facing is synchronising the phone calendar details with my MS-outlook & Google calendar. Nokia pc-suit handles it in a click of a button..... this is impossibility difficult here. If someone has been able to do this sync please let me know how you have done. The batt last for 1 to 1.5 days .........it drains pretty fast on heavy usage of java programs. On the whole if you have a little more budget go for Nokia or Samsung business phones. At this cost this is a good dual sim mobile ....... only you lose out on some additional features. Is it contains 2 spekers and where?